Chinese tech-sector giants Alibaba Group and Weibo, both preparing to go public in the US, should focus their communications strategies on raising brand awareness, say communications professionals with experience in China. Alibaba, a Chinese e-commerce company and one of the world’s largest Internet corporations, confirmed Sunday morning in a corporate blog post that it will file for an IPO in the US with the goal of becoming a "more global company." Analysts said it could fetch a valuation of well more than $130 billion. Meanwhile, Sina Corp.’s Weibo microblogging unit, often referred to as China’s equivalent of Twitter, said last week that it is filing for a potential US IPO with plans to sell $500 million in stock. Representatives from Alibaba and Weibo were not immediately available to discuss communications strategy or what agencies they are working with on financial communications. 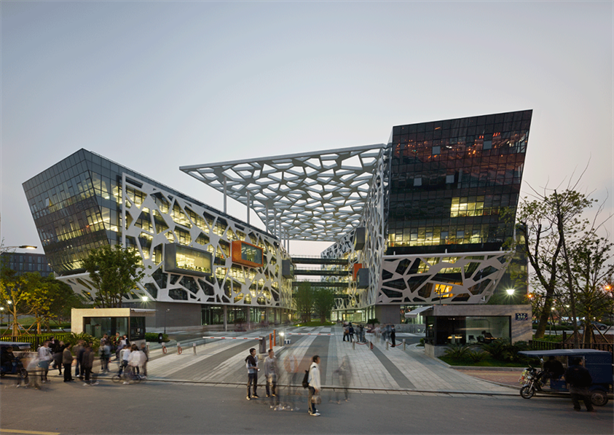 Alibaba has worked with Sard Verbinnen in the US, according to a company representative, though it was immediately unclear whether the firm is handling communications for the IPO. Generally, an IPO requires a company to maintain a certain level of corporate governance, as well as a specific degree of ongoing transparency – two areas where Chinese companies tend to struggle, says Weber Shandwick EVP William Brent. Brian Schaffer, head of transaction services at Prosek Partners, adds that "some US institutional investors may not fully appreciate a company that does not operate in their home market." "The company may need to spend more time educating them about its operating history and market opportunity," he adds. "With larger IPOs, this is of lesser concern, but can still be a factor." To gain investors’ trust, Chinese companies in the Internet space also need to address a potential intervention by the Chinese government in their messaging and how they plan to mitigate that risk in their business, according to Brent. What’s more, a foreign company filing for an IPO must also head off any expectations from institutional investors that it would trade at a discount to US-based companies. "This happens somewhat frequently with non-US-based companies, largely because of a lack of understanding about the company’s home market, growth opportunities, market fundamentals, and dynamics," Schaffer says, adding that both Alibaba and Weibo will need to demonstrate their ability to comply with US listing requirements. As one of the largest international IPOs in history, the market is anticipating Alibaba’s public offering, and there appears to be a strong desire from investors to be a part of it, according to Brent. However, until the road show begins, it is too early to predict the true level of investor demand for either of the Chinese companies. "If the range slips, that will be the most obvious indication investor demand is not strong, and vice versa, should the range be raised," says Schaffer, adding that media and investor demand are often disassociated – such as in the case of Facebook’s IPO debacle. Assuming the process goes smoothly, Alibaba and Weibo’s IPOs have the potential to open the door for others to follow, not just from China, but from smaller emerging markets as well, Schaffer explains. The growing number of Chinese companies publicly listing in the US coincides with another trend: a greater number of mergers and acquisitions by Chinese companies here. For example, Chinese technology company Lenovo Group, which purchased IBM's personal computer division in 2005 for $1.75 billion, said earlier this year that it planned to acquire the Motorola Mobility handset business, along with 2,000 patents, for $2.91 billion. "Generally, there is a growing level of investment by Chinese companies into the US, and this is a trend that will continue over time," says Brent. "In terms of listing, Internet stocks in the US are performing well, and Chinese companies want to take advantage of that. In terms of direct investment through mergers and acquisitions in the US, Chinese companies are trying to enhance their brands through acquisition, and looking for new opportunities oversees as the Chinese market slows down a little bit." Chinese companies have closely been watching smartphone-maker ZTE, as it continues its expansion into the US, experts told PRWeek in December. ZTE USA picked Atomic in November to handle its PR and social media accounts, with a focus on increasing awareness of the company among US media and consumers. If successful, ZTE could spurn other China-based brands to make an aggressive push into North America, a marketplace that Chinese executives feel is difficult to crack because of a bias against their products.